I am, at first sight, overwhelmingly English. Yes, well, no, not quite. I have a family connection to India which is distant yet strong. That little bit of sub-continental exotica manifests itself in the guise of a passion for Indian food and that of the Punjab. One might assume that I have spent endless time in Delhi, Mumbai or Chennai. Actually my time in India has been scant so my association with Indian food has been confined to restaurants in London, and cookbooks which have mostly been written with the European in mind. Food craft institute Hoshiarpur in association with Punjab Heritage and Tourism Promotion Board organized the unique Culinary Challenge, Art on the Plate “Styling Traditional Punjabi Food”. The Punjab is a long way from London but, in a way, this exciting initiative is as much about us, lovers of fine food in Europe, as about the originators of vibrant recipes. Art on the Plate follows the success of the Star Chef Punjab competition, supported by Mrs. Raji P. Shrivastava, IAS, Secretary, Tourism & Cultural Affairs of the Government of Punjab. This new Challenge promotes forgotten recipes and encourages the inclusion of those on restaurant menus, and elevates those dishes that are in danger of being lost. 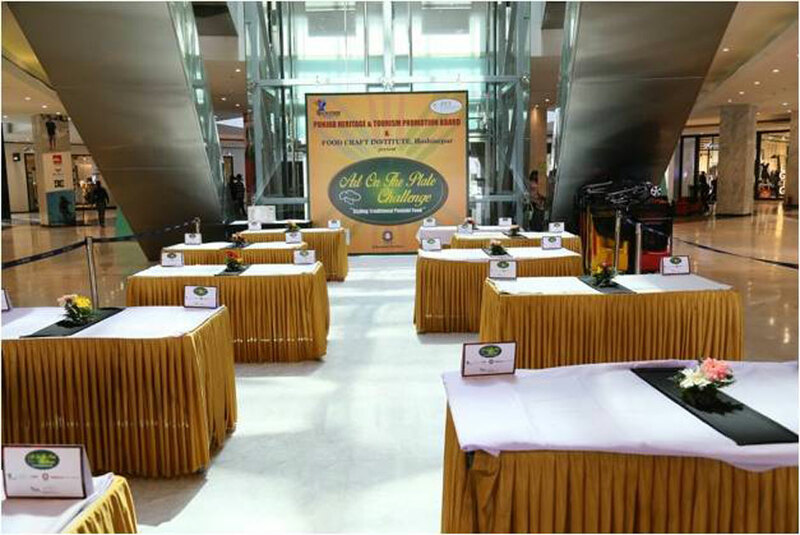 Photographs of dishes were requested from student chefs and professional chefs from catering colleges and restaurants as well as hotels, across the Punjab. The participating chefs were short-listed after consideration of the authenticity of their recipes as well as the style of presentation. That authenticity, for me at least, is the remarkable element of this challenge. Let’s consider for a moment, why authenticity might be worth celebrating and preserving. There are two continental considerations here. Firstly for India: It has one of the world’s classic cuisines. It’s popular worldwide and Indian chefs do travel, so the preservation and exportation of that worthy culinary heritage should surely be the mission of any serious Indian chef. If it disappears, it disappears forever and it’s a treasure that is too valuable to squander. But what of the other aforementioned continent? Well, in truth it’s all other continents and their cities that have grown to love Indian food …or is it Indian food? We love our ‘curry houses’ in the UK and we assume that we have been enjoying Indian food. The truth is that they are mostly run by Bangladeshis who have been offering us often delicious and moreish dishes that have been developed for what is assumed to be the European palate. There are many high-end Indian restaurants that have galaxies of Michelin Stars and other accolades, and all well-deserved, but is their food authentic or just spicy and beautifully presented? Art on the Plate “Styling Traditional Punjabi Food” and other similar initiatives are and will be crucial to the continuity of real Indian dishes in India, and the introduction or popularizing of authentic recipes beyond its shores. We are often ridiculed in Britain for having such non-authentic menu items as Chicken Tikka Masala as one of our national dishes. But it was, I believe, presented to us in an ‘authentic’ Indian restaurant. I am sure, if we only knew, there are many familiar dishes that we assume to be made from the recipe of the chef’s Grandmother, but that are in fact especially designed for this as-yet ill-educated audience. Art on the Plate “Styling Traditional Punjabi Food” endeavors to instill pride in Indian chefs for their own prized gastronomy, whilst perhaps persuading them that there are others overseas who would dearly like to taste the real thing. I have immense faith in the momentum of Art on the Plate. It is initiated, conducted and supported by some of my friends who are amongst the most eminent food-smiths, not only in India but across the globe. 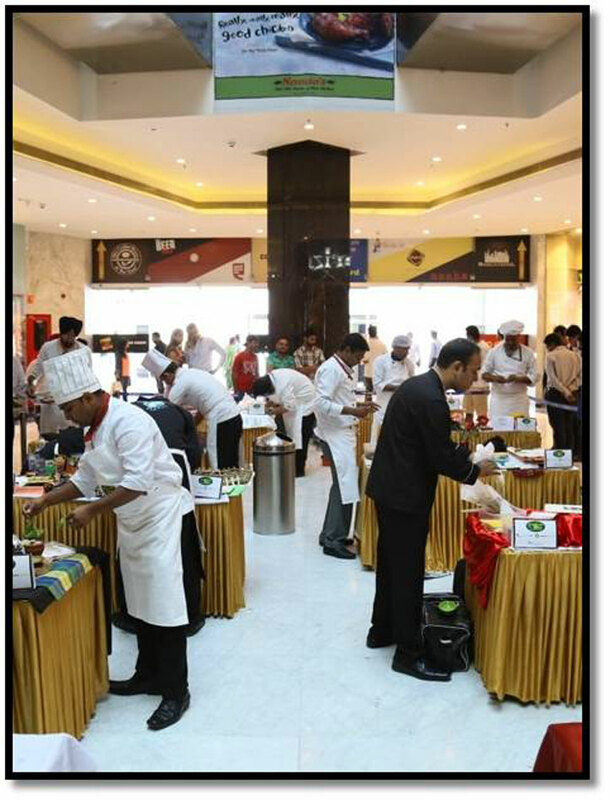 The final round for the event was held on 22nd September 2014 and Manjit Singh Gill, President IFCA, Sudhir Sibal, Ambassador, World Chefs without Borders, Sanjiv Verma, Pashtun Chandigarh, judged the food presentations. That in itself is a culinary lineup over which to wonder. Celebrity Master Chef Vikas Khanna was the Guest of Honour and was also a part of the Jury, and awarded the coveted prizes to the winners. During the event Master Chef Vikas launched his latest book, appropriately called AMRITSAR – Flavours of the Golden City. Mr. Manoj Aggarwal, Head of Operations – CSJ L& T Realty Limited, and Mr. Gurvinder Singh Juneja, Hon. Secretrary, HRANI, were also present at the event. Mr.Vikrant S Parihar and Ashish Nikhanj were awarded 1st and 2nd places respectively in the Professional Category. Aditi Sood and Abhishek Sharma were winners of the 1st and 2nd places respectively in the Student Category. During the event Mr. Kashish Mittal, IAS, Director of Tourism, Chandigarh, and Mr. Razit Bhandari, Senior Marketing Manager, Punjab Heritage & Tourism Promotion Board, released a Tourist Map of Punjab which is entitled Food Trail in Amritsar and is endorsed by Chef Vikas Khanna. During his address to the assembled group, Chef Khanna remembered “Punjabi Cuisine is very close to my heart and soul. I learnt how to roll breads in the busiest kitchen, that is the Golden Temple, and also learnt the true spirit of service and devotion.” He recognised the efforts of the institute and PHTPB in promoting the cuisine of this great region by conducting such competitions. Chef Manjit Singh Gill is a famous and respected figure worldwide and he congratulated everyone on the successful presentation of the event, and he also assured continued support from the Indian Federation of Culinary Associations in future such events. 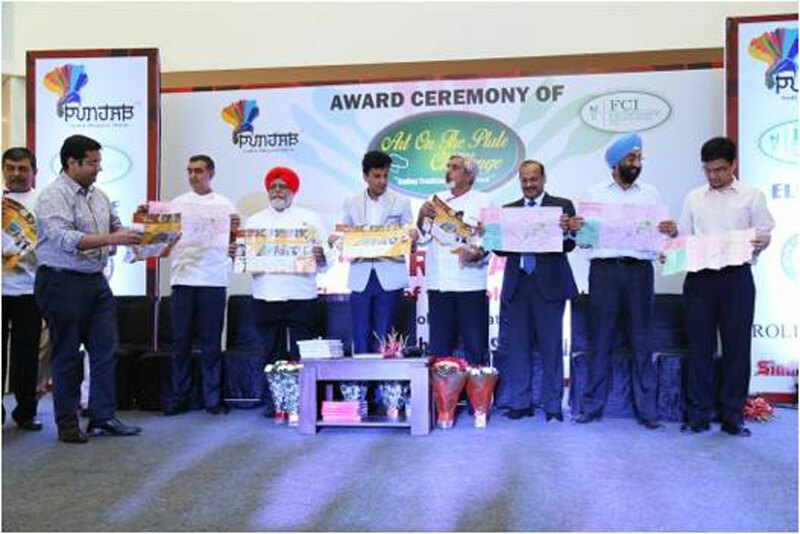 Support from event sponsors Elante Mall-Venue Partners, Sindhi Sweets-Hospitality Partners, and ICF Punjab and Chandigarh Chapter – Education Partners was recognised with gratitude. I must confess that this is not an article written by an independent journalist. I am committed to this project and others like it. I have lent my humble name to it and will continue to encourage chefs of every culinary hue to respect their grandmothers and authenticity. Innovation is valuable and exciting, but how do we know where we are going if we don’t know from whence we came?